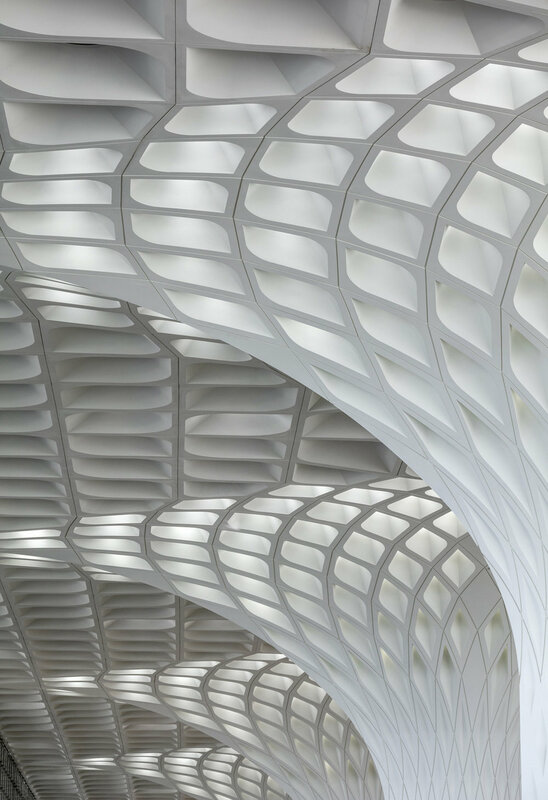 The new Chhatrapati Shivaji International Airport Terminal 2, measuring 4.4 million square feet, combines international and domestic passenger services under one roof, optimizing terminal operations and reducing passenger walking distances. Inspired by the form of traditional Indian pavilions, the terminal celebrates Indian history and culture. Regional patterns and textures are nicely integrated into the terminal’s architecture. From the articulated coffered treatment, the main departure hall columns and roof surfaces to the intricate jali window screens that filter dappled light into the concourses.